Ida Idayu Muhamad is a Professor at the Department of Bioprocess Engineering, Faculty of Chemical Engineering, Universiti Teknologi Malaysia, and a Fellow of Institute of Food Science and Technology, United Kingdom. Currently she is one of the appointed Scientific Advisors also Head of Biomaterial Cluster for the IJN-UTM Cardiovascular Engineering Centre, for research collaboration between Institut Jantung Negara and Universiti Teknologi Malaysia. Prior to this present position, she headed the Bioprocess Engineering Department (2010-2013) and management committee of Centre of Fiqh (2011-2013), Science and Technology (CFiRST). She earned her degrees from Universiti Sains Malaysia then Ph.D (2004) from the University of Manchester Institute of Science and Technology (UMIST) England. She is a Chartered Scientist and founder of Food and Biomaterial Engineering Research Group (FoBERG) at the Faculty of Chemical Engineering. Her areas of expertise include food and biomaterial process engineering, active-smart packaging, nutraceuticals and drug delivery. She has supervised and co-supervised more than 40 post-graduate students and post doctorates. She served as a technical panel for assessment of grants applications such as Escience and Technofund for MOSTI and reviewer for various peer-reviewed ISI journals. She is also affiliated to several professional societies such as Institute of Chemical Engineers (IChemE), International Society of Pharmaceutical Engineers (ISPE), Controlled Release Society, Malaysia Institute of Food Technologist and Malaysia TRIZ Innovation Association. 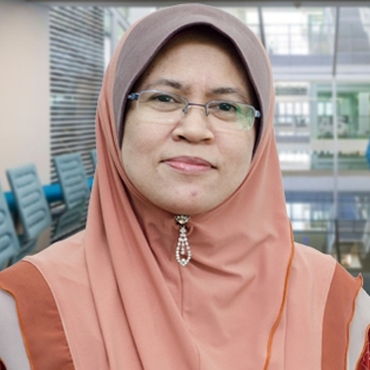 Ida Idayu pioneered research in Active-Smart packaging using natural bioactives and biopolymers in Malaysia, then advancing their practicalities in functional food and drug delivery systems. She has led 30 research projects in the field, 2 spin-off companies under MTDC-UTM, garnering grants of more than RM 7 million and over 100 publications in national and international journals, 6 research monographs, 4 books and 13 book chapters in her area of research. She has synergized many new and novel compounds with new properties which have applications in the food, cosmetics, drugs and pharmaceutical industries. Her work in the development of nano-delivery systems and formulation of these compounds in food, agrochemicals, nutraceuticals and pharmaceuticals is towards achieving the best efficiency, bioavailability and safety towards the target sites and thus, the wellbeing of the mankind. She has won numerous awards related to her research projects, both at the international and national levels also the owner of 28 patents filed and 4 granted. Her work has opened up new areas in the production of new compounds and biomaterials through green processes. Those naturally functional, environmentally friendly processes and products are the way forward towards sustainable future.